Leveraging practical media and technology solutions to creatively solve problems. 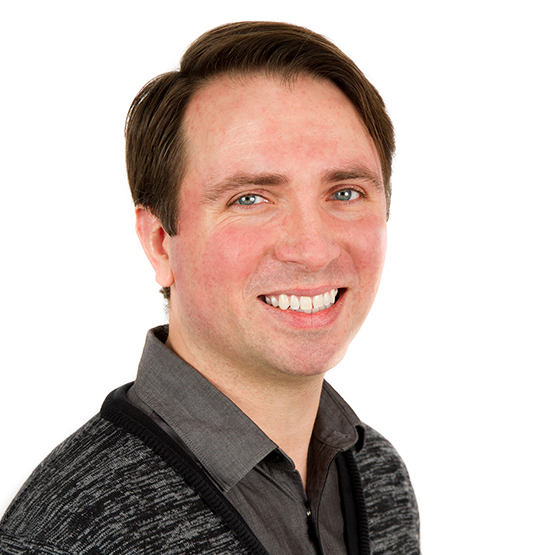 Aaron has over 10 years of experience developing a wide array of creative learning solutions for publishing, media, education, healthcare, and corporate clients. He’s an adept visual designer who specializes in biomedical visualization, animated media and motion graphics, video production, and interactive design. Aaron’s biomedical background helps inform his design sensibilities to distill very complex processes into more simplistic, easily digestible pieces, as well as informing his attention to detail and understanding of learning experience. Aaron has a degree in biomedical visualization, and he has provided subject-matter expertise to medical professionals in various capacities throughout his career. His schooling included rigorous training to ensure an understanding of the human body and various biomedical processes, including observing and illustrating surgical procedures and dissecting a human cadaver. Aaron really likes cooking and gardening. During the past two years, he’s had so many tomatoes that he wasn’t able to give them all away, and he hasn’t had to purchase a single red or green pepper from the grocery store. Super exciting, right? Can’t live without coffee or Reese’s cups.